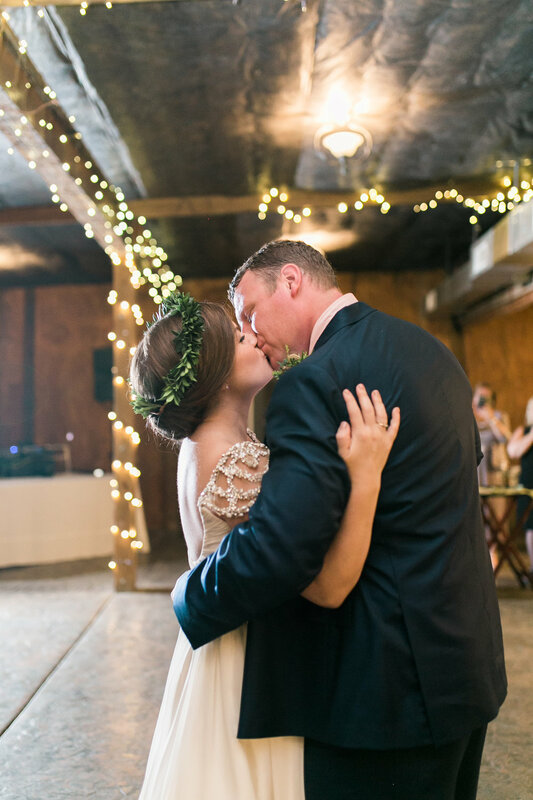 Kristin and Shaun chose the beautiful Stable at Bluemont Vineyard for their fall Virginia wedding. It was an absolutely beautiful day with the ceremony overlooking one of the most picturesque views in Loudoun County. 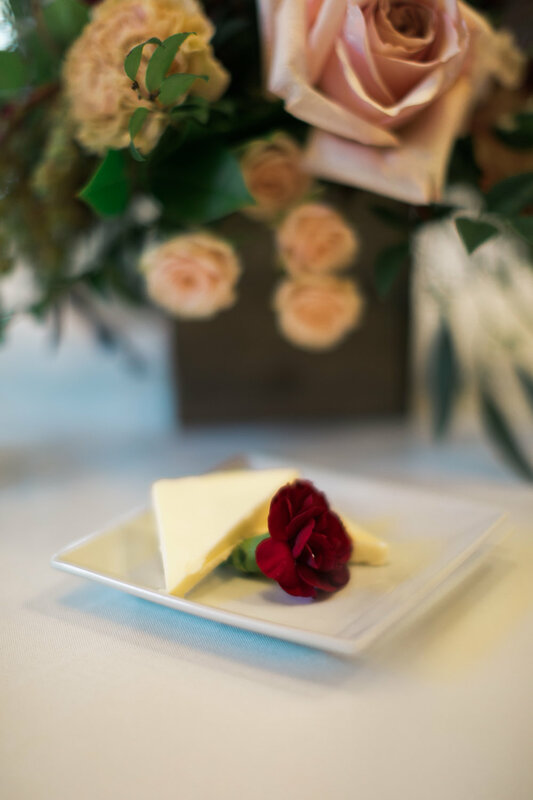 The color palette of our flowers was a deep merlot red with accents of blush and ivory. Plenty of greenery was used in the designs, including oak and maple leaves as a nod to the bride's background in forestry. Even the groom's boutonniere featured a little acorn! 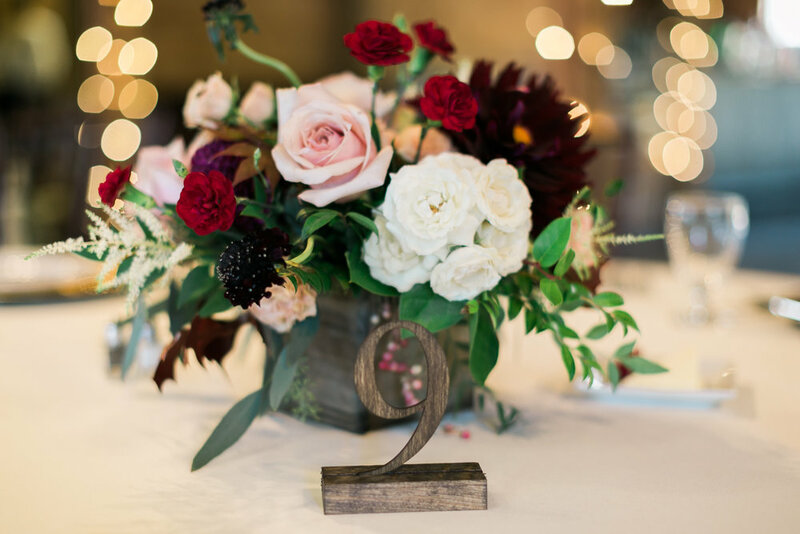 We always look for ways to add special elements to our floral designs to reflect our couple's interests and personalities! The bridal bouquet featured exquisite locally grown dahlias, peach Juliet garden roses, pepperberry, fall foliages, and hanging red amaranthus. A trailing merlot velvet ribbon echoed the groom's tie. The reception in the Stable featured round guest tables as well as a long King's table. The bride's and bridesmaid's bouquets were placed along the length of the greenery garland centerpiece and further enjoyed during the reception. Other centerpieces were arranged in wood boxes to bring a rustic feel indoors. Another favorite detail was Kristin's crown of pieris leaves that she wore through out the night. Congratulations to this wonderful couple! 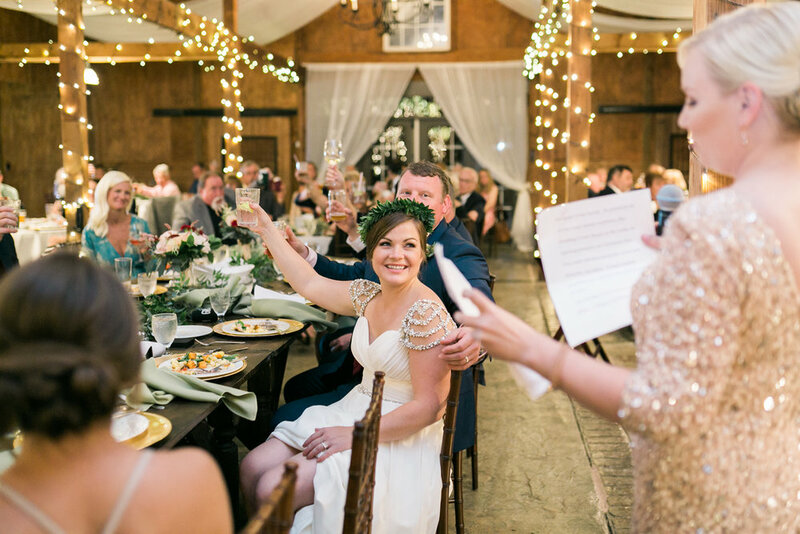 Many thanks to Misty Rodda Photography for capturing the joy and sharing these gorgeous photos! Love this wedding? Click here to work with us!